When I walked off the plane and into the Panama City airport, I jokingly thought to myself, “I’m not in Kansas anymore”. It was my first time ever stepping onto non-U.S. soil. The night before the flight, I had been worried about potential weather and culture shock, my inability to collaborate with an unfamiliar team, and my lack of dedication to an art form that I had slowly been distancing myself from. I had started studying dance when I was three years old and proceeded with professional training all the way throughout high school. When I went to college, however, I decided that I wanted to study child psychology instead – mostly because I was really interested in the topic, but also because I had grown emotionally exhausted from years of harsh self-critique, physically demanding technique, and little opportunity for creative expression. Long story short, I had become dissatisfied towards the seemingly self-absorbed world of dance… that was until I came across the Movement Exchange table at my school’s club fair. After hearing about their mission of dance diplomacy, I resolved to shift my viewpoint towards dance outwardly. 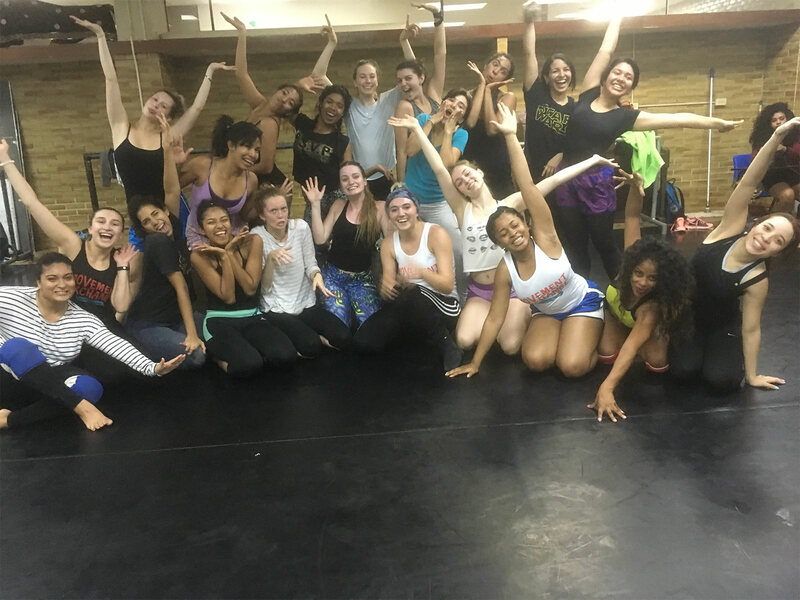 I craved an experience that would show me how dance can be used to establish community and bring joy to people who might not otherwise have the opportunity to perform. Over the course of the year, I taught periodically at my local Boys and Girls Club – later realizing that it would serve as preparation for my time here in Panamá. Teaching here in Panamá has been the most amazing experience. Not only because I’m seeing dance as more than just a commodity for the elite, but also because I’m being immersed in a true cross-cultural exchange. I’ve been able to practice connecting with people who speak another language and live a totally different life than me. I’ve been humbled to learn about the tense history between my home country and this land who suffered the consequences of its invasive influence. I’ve both met and been inspired by members of my team who have chosen to contribute their strength and light to this important cause. I’ve been challenged to focus my energy on my original intention, even when unexpected conditions like rain, exhaustion, or miscommunication have tried to drain me of my motivation. All in all, I’ve been stretched in directions that have forced me to grow as a dancer, a leader, and a citizen of the world. I will never forget the impact this trip has had on me, and I hope to let it inform my future as a representative of MoveEx’s honorable vision of artistic humanitarianism.